Looking for updates on Indian Military Academy of Indian Army? Check out complete information and highlights of the Royal highness visit to IMA on 07th November 2013 here. 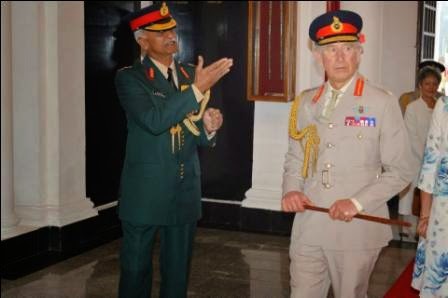 The prince of Wales and the Duchess of Cornwall have paid a visit to the Indian Military Academy located at Dehradun on 07th November 2013. 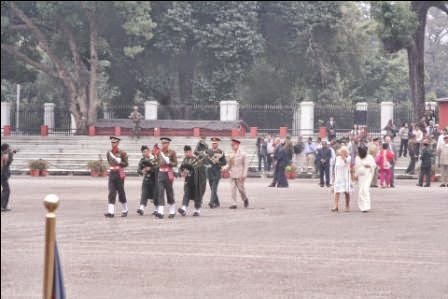 Both the highnesses were welcomed grandly at IMA entrance gate and they were taken to Chetwode building. 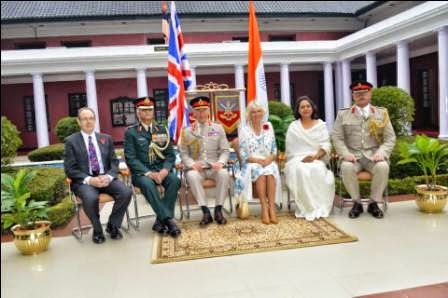 Chetwode building has the IMA's commandant office where the highnesses had exchanged their views with Lt Gen Manvender Singh and Mrs. Ranjana Singh. First of all they witnessed live firing carried out by the Gentlemen Cadets at IMA. Live firing was carried out in the Close Quarter Battle Range as part of their training. 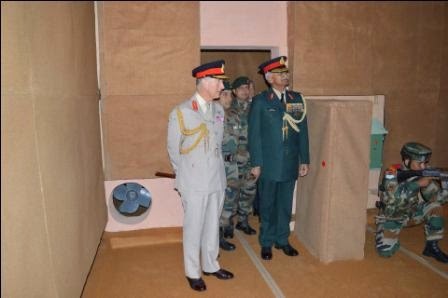 Also they were taken to Equitation area to see ongoing training imparted to future officers of Indian Armed Froces. 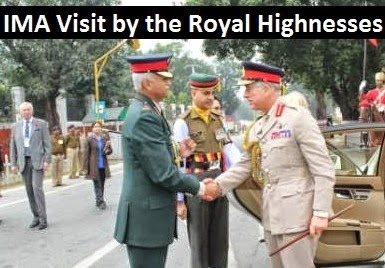 After visitig the above training areas of Indian Military Academy, the highnesses met all gentlemen Cadets, officers, Commandant and cadets of Rashtriya Indian Military College in a small tea party arranged by IMA officials. 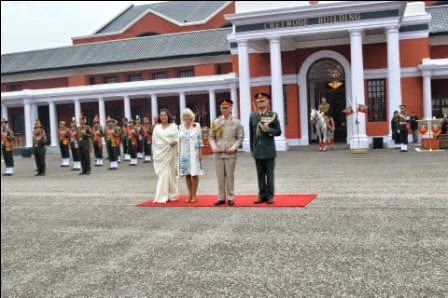 Both the highnesses seemed very happy with the standards of Indian Military Academy, Dehradun and were very pleased to visit the academy.